Grohe, a leading global brand for complete bathroom solutions and kitchen fittings, has announced the appointment of Stefan Gesing as the new chief financial officer of the group. He will take over his new position starting from January 14. Gesing joins Grohe from thyssenkrupp where he had served as CFO of Industrial Solutions. He was appointed to the Management Board of Industrial Solutions AG in May 2016 and, after a short time, temporarily took over its chairmanship. 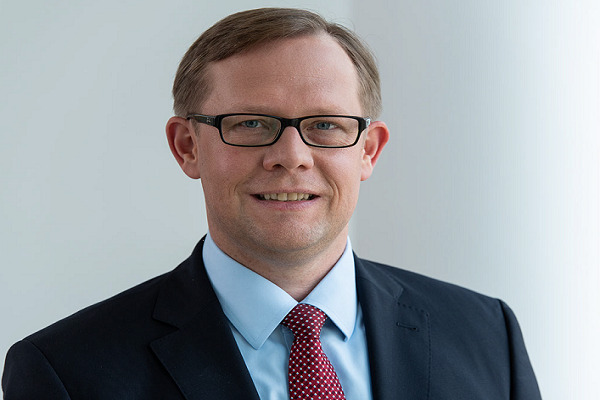 He also previously served as head of controlling, accounting and risk at group headquarters and successfully managed thyssenkrupp AG's business processes for many years. Before that, he served in different functions of the CFO department at Deutsche Telekom AG, said the company in a statement. In his new role, Gesing will become part of the Grohe AG Management Board, reporting to CEO Michael Rauterkus. Welcoming Gesing into the fold, Rauterkus said:"He brings extensive financial, operational, and strategic experience. This, combined with his deep industry knowledge and experience scaling high-growth companies, will be a huge asset to Grohe as we are shaping the future." Gesing succeeds Adam Bryson, who in September took over the role as chief financial officer of Lixil Americas. "I am very happy to join Grohe as one of the most innovative brands in the market," remarked Gesing.